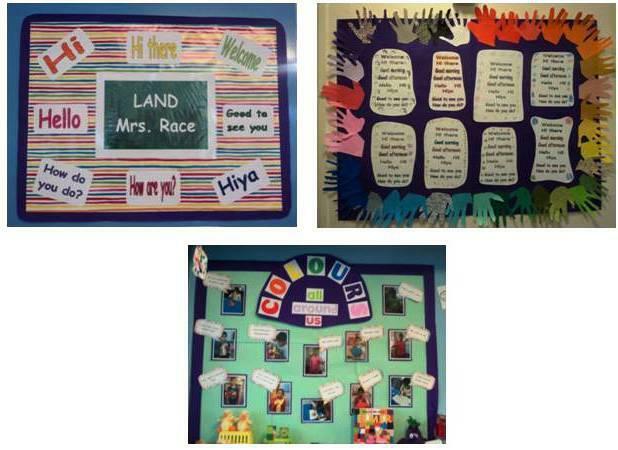 LAND (Language and Nurture Development) is for children who arrive new to the school with little or no English. The children spend three morning sessions in LAND and the rest of the time with their own class. The aim is to develop basic communication and early language skills so that children can manage in the classroom environment. This year Mrs. Race is also taking groups of children in the afternoon sessions to support children who have attended morning LAND sessions in the past. The aim is to develop their spoken and written language. What have the LAND children been doing recently? 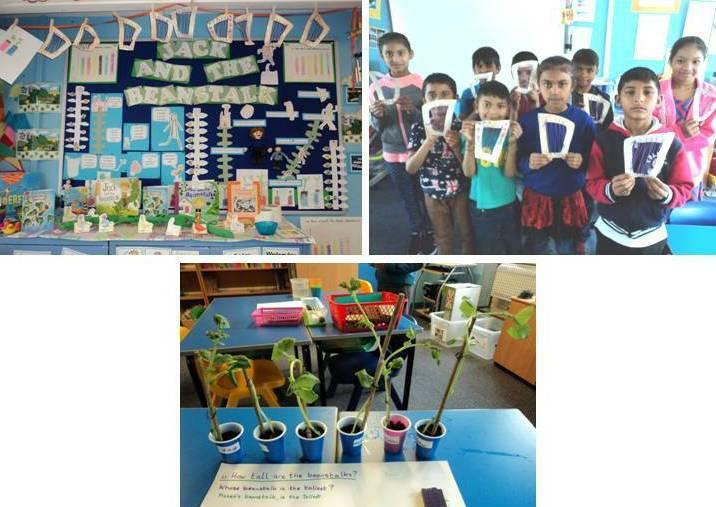 The children made harps from the Jack and the Beanstalk story and also planted bean seeds and watched them grow. The children made the Three Billy Goats Gruff and the troll and told the story with stuffed animals. 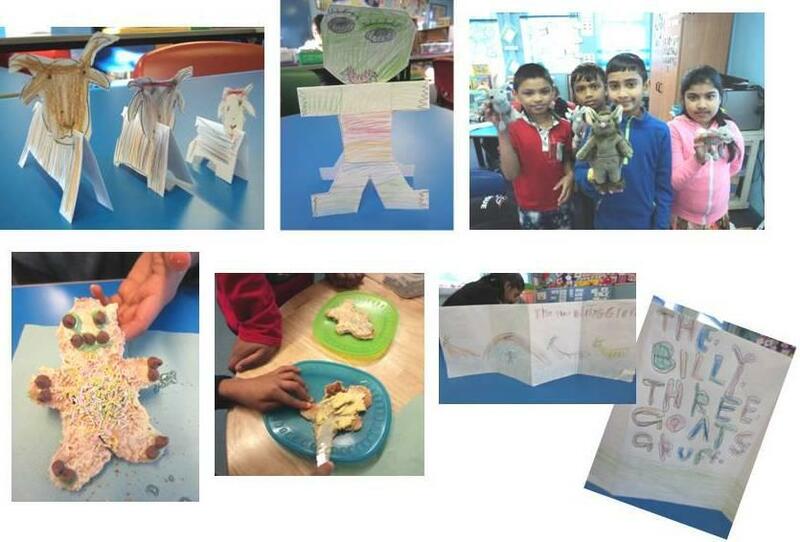 They enjoyed making troll toast and creating a story book. We love colours in LAND. 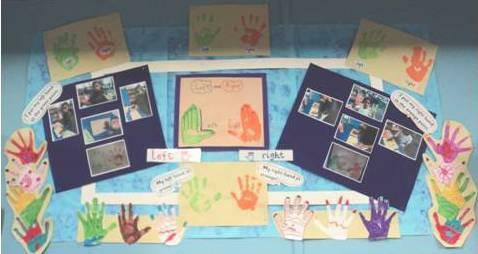 We painted our left hand green and our right hand orange. The children went on a shopping trip to the local Aldi supermarket and then made tomato and cheese sandwiches with the food they bought. 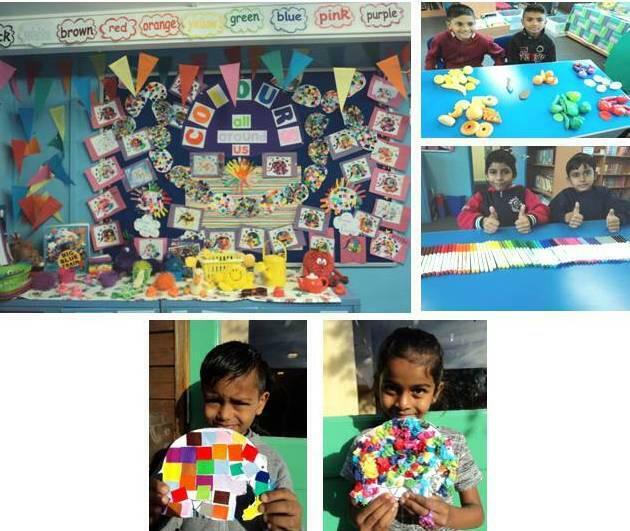 The children made colourful Spring flowers, Spring cards and Spring baskets. They made a border of blossom trees to go with their vases of flowers on display in the Hall. 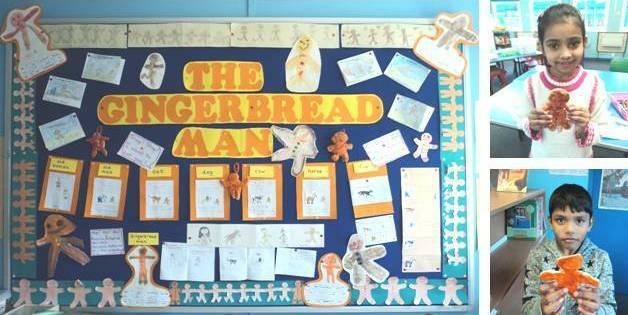 Do you like the running gingerbread men? The children made gingerbread men out of salt dough.